ATHOL- Everett L. Downing, 95, of Morton Meadows, died peacefully at Baldwinville Skilled Nursing Center in Templeton on Saturday, August 25, 2018. Born in the former town of Enfield on June 26, 1923, he was a son of Omar and Mabel Downing and grew up in Enfield and Athol. Everett enlisted into the United States Navy on January 14, 1948 starting as a baker and later attaining the rank of Ensign 1, serving during the Korean Conflict. He was honorably discharged on January 10, 1952. Everett later served in the Merchant Marines. On January 7, 1949, Everett married Muriel (Richardson) and they had enjoyed over 44 years of marriage until her death on September 19, 1993. Everett was a custodian for the City of Greenfield Public Schools and retired from there in his 70’s. He had previously worked for the B&M Railroad and at the power plant at Westover Airforce Base. 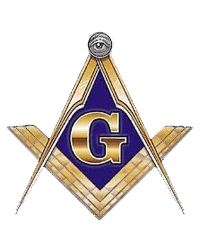 Everett was a Master Mason and started with the Ludlow Lodge in 1956 and later became a member of the North Quabbin Lodge in Athol. An outdoorsman, Everett enjoyed hunting and fishing, as well as playing cards and cherring for the Boston Red Sox. Everett is survived by his daughter, Janet Karch and her husband, Steve, of Athol. A graveside service will be held on Friday, August 31, 2018 at 10 a.m. at Highland Cemetery, Hillside Terrace off of Main Street, uptown Athol.